The Dwarkadas J. Sanghvi College of Engineering is named after the renowned industrialist Mr. Dwarkadas J. Sanghvi. 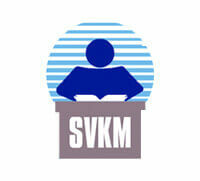 The college was founded by Mr. Vile Parle Kelavani Mandal in 1994. The college is affiliated with the Mumbai University. It awards degrees, diplomas and certificates under the name of Mumbai University. The DJSCE offers 8 Undergraduate, 3 Postgraduate and 3 Ph. D programmes. The college is affiliated with the Mumbai University. It is approved by the DTE (Directorate of Technical Education) of Maharashtra. It is an AICTE approved technical college. The DJSCE is ranked among top 100 engineering colleges of India. It is ranked 2nd among the technical colleges of Maharashtra. Area – The college campus is spread in an area of 17,623 square meters. To facilitate learning, students are provided with all sorts of facilities at the college campus itself. It has spacious libraries, well-equipped laboratories, hostels, internet, canteens, and research centres and sports clubs in the college campus. Manubhai P. Knowledge – This is the library of the DJSCE. It has 17,000 books, 70 Journals national and internationals. It has internet facilities with online databases to sort books and study material. Trinity – This is the annual event which comprises of Cultural, Sports, and Technical events. Admissions in the DJSCE B. Tech course is done on the basis of the marks scored by students in MHT- CET exam or JEE Mains exam. Admission in the DJSCE M. Tech course is done on the basis of the marks scored by students in the GATE exam. For admission in the PhD course, students should appear in the GATE exam or Mumbai University exam. A student should have passed Class 12th from a recognised Board/ University. A student should have done B. Tech from an AICTE recognised college/institution. A candidate can apply for admission in the DJSCE courses online. They should visit the official website of the DJSCE and fill the application form by paying the requisite application fees. After filling the application form, they should submit it online only. Many reputed companies come for recruiting students from the campus. Some of the reputed companies coming for placement are Igate, Bluestar, TCS, Capgemini, Oracle, Zycus, Visa, IBM, Siemens, ICICI Prudential, Hindustan Unilever, SAP, Ernst and Young etc.